The Navi Mumbai unit of the ATS arrested five Bangladeshi nationals who were living in India illegally from Jui village in neighbouring Raigad district on March 13, an ATS official said. MUMBAI: The Anti-Terrorism Squad of Maharashtra police has arrested a 41-year-old man for allegedly helping illegal Bangladeshi migrants obtain Aadhaar and PAN cards. They were found to be possessing original PAN and Aadhar cards. 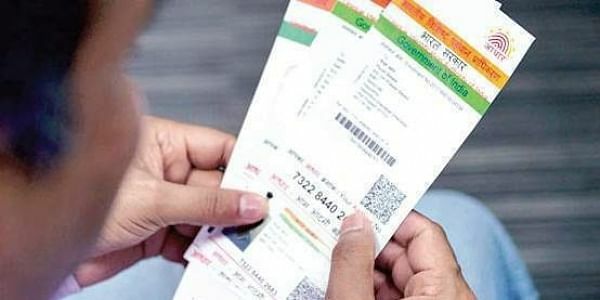 The probe revealed that a 41-year-old man from Kharghar in Navi Mumbai had helped them get the Aadhaar and PAN cards, said the official. A trap was laid in Kharghar and the man was arrested yesterday, he said. The official didn't disclose the identity of the accused, who is an Indian national. He was remanded in police custody till March 21 by a local court. The ATS was also probing the possible terror angle in the case, the official said.